When I was thirty-seven years old, I made the decision to freeze my eggs. It was an uncomfortable process on so many fronts, but I’m so glad now that I took this bold step. We know from stats that the number of women undergoing elective egg freezing procedures has increased rapidly over recent years. It’s been assumed that this is happening because women want to concentrate on their professional lives and career advancement, but is that the real reason? A few months ago, research came out noting the contrary to what people have been saying. Women are choosing to freeze their eggs NOT because of career ambitions, but because they want more time to find a suitable mate. Reading the article pushed me to think about the true reason why I froze my eggs—and it was an ‘OMG’ moment for me. For so long, I was telling people that I made the decision to undergo this process because I wanted to focus on my work. But upon reflection, the real reason I froze my eggs is in alignment with other women: it was because I hadn’t met the right person to have a child with. My dating story is one that I’m sure many can relate to. When I was a teenager, I had a plan for my life: by the time I was thirty, I would be married and have three beautiful children (HA!). Well, that didn’t happen (and I can say “thankfully!” about this now, because I don’t think I could have handled such responsibility at that age). Instead, at the age of thirty, I thought about freezing my eggs. I consulted my doctor who told me that technology wasn’t up to scratch at the time, so I left it. Flash forward to my mid-thirties. I had recently launched my new, incredibly busy business and I was rightfully focused on my career growth. I was working long hours and traveling loads, which impacted the time I had available to date. But despite being busy, I still wanted to find love. The truth of the matter is that I was single after a few failed relationships that ended badly, and I was experiencing an emotional roller coaster about my romantic life. I was tired of chasing love because I knew that it wasn’t working. I also knew my biological clock was ticking and the societal pressures were real (people around me were constantly asking about my dating life, when I was going to get married, if I was going to have kids). 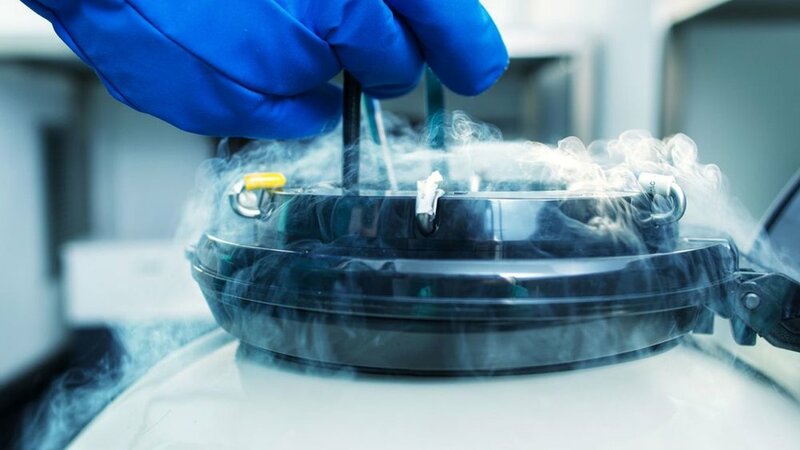 By this time, egg freezing technology had developed extensively, and with my business on the forefront of my mind (or so I thought), I decided to take the plunge thinking it would give me more time to focus on my building my company. It was a very uncomfortable and challenging experience to have gone through as a single woman (not to mention expensive – and I’d be the first to note my privilege in being able to avail this process) ­– but I am so grateful I did, because I now know that what I was really doing was buying myself more time to decide if I want to have kids, and to find someone to have those kids with. By the time women hit their mid-thirties, the pressure ­— both societal and internal — to find someone to couple and have children with explodes. The amount of questions you filter from your family and friends skyrockets. Sometimes it can result in “panic partnering”—consciously and unconsciously settling for the next person that comes along. I absolutely did not want to settle in choosing a mate (and in case you’re wondering, at the time I also didn’t want to use sperm from a bank and have a child on my own). In the end, freezing my eggs increased my runway to reflect on and to make several important decisions. In doing so, the weight of both societal and my self-imposed pressures completely lifted from my shoulders and was replaced by a feeling of freeness. Now at 43, I recognize that my runway is getting shorter, but I still feel the freeness. I keep thinking that if Janet Jackson had her first child at 50, why can’t I? !